Matt and Nate teamed up to real in this mammoth 507 lb pacific blue marlin caught on 11/26/10 aboard the Maggie Joe while sportfishing in Honolulu, Hawaii. Also featured in the photo are crew Matt and Arya. 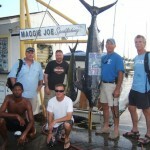 Mahalo to Matt and Nate for choosing Maggie Joe Sport Fishing. Aloha. 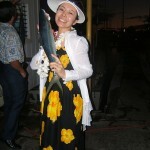 Kevin and Kate joined us aboard the Ruckus on 11/24/10 for Hawaii’s best deep sea fishing action. 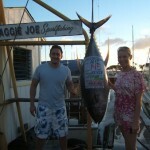 Kevin was able to reel in this 145 lb Ahi and is joined by wife, Kate, in the photo above. 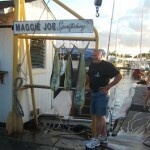 Mahalo for choosing Maggie Joe and we can’t wait to see you again the next time you are on Oahu. Aloha. 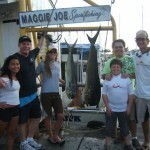 Kenny and wife, Monica, joined us aboard the Maggie Joe on 11/21/10 for a great day of deep sea fishing. 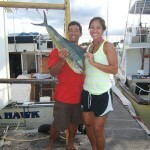 The couple caught a Mahi Mahi and Aku (not in picture) while deep sea fishing outside of Honolulu, Hawaii. 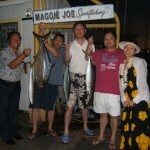 Mahalo for choosing Maggie Joe and we can’t wait to see you guys again! Now that’s what I call a fish! 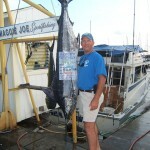 Neil caught this 470 lb blue marlin on 11/20/10 aboard the Maggie Joe with friend Michael. 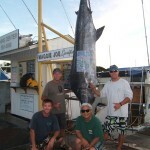 Captain Mark and Mate Morgan joined as crew and took the pair sport fishing off the island of Oahu. This is Hawaii deep sea fishing at it’s finest. Mahalo guys! Just another beautiful day here in Hawaii! 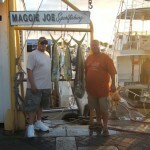 Alan and Patrick combined on a Maggie Joe share charter to haul in 3 Mahi Mahi. 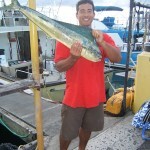 The group caught the Mahi Mahi deep sea fishing outside of Honolulu, Hawaii aboard the Maggie Joe. Mahalo guys and we can’t wait to see you again! 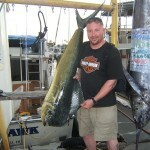 Jason caught this 165 lb blue marlin and Mark caught this Mahi Mahi while aboard the Ruckus on 11/18/10. The group had a great day out on the water while deep sea fishing off the island of Oahu. Mahalo and Aloha. 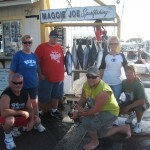 Mahalo to Teri, Chris, Tiffany, Victor, Greg and Shantel for joining us on 11/18/10 aboard the Maggie Joe for a day of deep sea fishing in Honolulu, Hawaii. The family was able to haul in a pair of Mahi Mahi caught by Teri and 3 Aku caught by Chris and Tiffany. We hope to see you folks again soon! Aloha. Nice catch Dan! 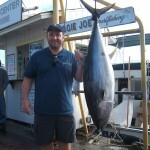 Dan caught this 80 lb Shibi while sport fishing outside of Honolulu on the Ruckus with us. The tuna, known for it’s strength and fighting power also makes great eating here in Hawaii. Great job Dan and we can’t wait to see you again. Aloha. 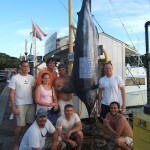 Mahalo to Zach, Alan and the Shattuck family for coming out with us on 11/15/10. On a full day share on the Maggie Joe the group was able to bring in a handful of Aku while deep sea fishing here on Oahu. Mmm mm, who’s ready for some poke? Hope to see you guys again! Aloha.